The Aquifer Student Engagement: Race and Culture project started in Spring 2017 with the goal of improving the way race and culture and presented and taught in Aquifer cases, which reach more than 68,000 students every year. In the first phase of the project, project leads, Dr. Steve Scott and Dr. Katherine Chretien, recruited fourth-year medical students from schools across the country to form a faculty/student workgroup. The group performed a literature review and analyzed Aquifer cases for key areas of improvement. Based on this analysis, a structured guide was created to assist in the review of Aquifer cases while also providing education and rationale. This work has now been presented nationally at the Association of American Medical Colleges Learn Serve Lead meeting (Austin, TX, November 2018). Additional presentations have been accepted for the 2019 National Meetings of STFM, COMSEP, and AAIM/CDIM. Academic Medicine has published ahead of print (print expected in April 2019) an article highlighting the work completed on Phase One of this project. The two students who played critical roles in the project, Molly Rabinowitz (former student at Oregon Health Sciences University, now a pediatrics resident at Kaiser Oakland) and Aparna Krishnan (MS4 at Johns Hopkins School of Medicine) are co-first authors on the manuscript. In May 2018, Aquifer accepted applications from first-year medical students to participate in the second phase of the project in which six students reviewed four of Aquifer’s courses (Family Medicine, Geriatrics, Internal Medicine, and Pediatrics) using the race and culture guide and made recommendations to case editors and reviewers for improving cases. 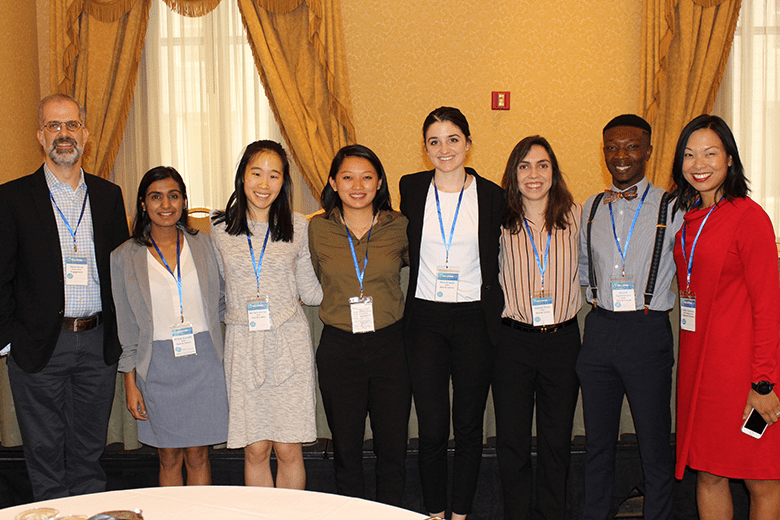 The six students presented their work and findings at the Aquifer Annual Meeting in Boston, Massachusetts, in the first week of October. They also presented their recommendations to each course board, which resulted in important and engaging conversations between the students and Aquifer’s team of educators. 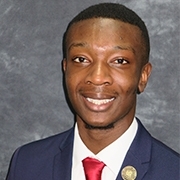 Nkemdi Agwaramgbo completed his undergraduate career at Xavier University of Louisiana and is currently a second-year medical student at the University of South Alabama. His experiences as a Nigerian American have driven him to dive into social issues and push for a more just and humane society, whether it’s on a grand or micro scale. Throughout high school and his undergraduate career, Nkemdi made it his mission to improve his community. Nkemdi is very interested in preserving the realities and humanity of various marginalized groups through the improvement of healthcare and education. 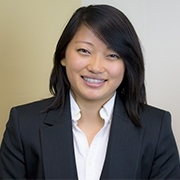 Stephanie Bi is a second-year medical student at the University of Chicago Pritzker School of Medicine. She graduated from the University of Chicago with an undergraduate degree in Biological Sciences and English Language and Literature. In her free time, Stephanie enjoys reading poetry, rock climbing, and hip-hop dance. 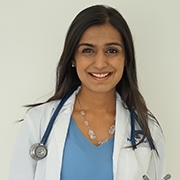 Priyal Gandhi is a second-year medical student at the Johns Hopkins University School of Medicine. She has lived in Northern Virginia for most of her life and graduated from the University of Virginia in 2017 with a Bachelor’s degree in Neuroscience and a minor in Women, Gender, and Sexuality. Priyal has been involved in education with refugees, children in Indian slums, and middle schoolers in Baltimore. She is also passionate about many social issues in healthcare, including advocacy for the healthcare of incarcerated people. 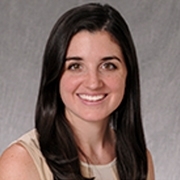 Rose Milando is a second-year medical student at George Washington University School of Medicine and Health Sciences. 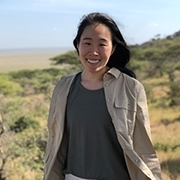 Before attending medical school, Rose worked at a non-profit organization in New York City for 2.5 years, providing case management services to New Yorkers with HIV and/or multiple chronic conditions. Rose is passionate about investigating and interrogating the ways in which medical school professors discuss race and culture with their students, and is currently undertaking a review of GW’s pre-clinical curriculum on this matter. 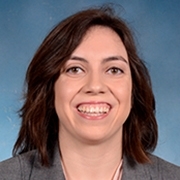 Natalia Perez is a second-year student at the University of Maryland School of Medicine. She grew up in Puerto Rico, where her family resides. Natalia graduated from Georgetown University in 2017, where she obtained a Bachelor’s of Science in Biology of Global Health. She went straight to medical school after college and is currently in the MD/MPH dual-degree program. Natalia is very involved with the Latino Medical Student Association and the Student National Medical Association. Her interests include the intersection between education and health fields, and working to reduce minority health disparities. Michelle is a third-year medical student at the Baylor College of Medicine in Houston, Texas. She graduated from Harvard College with a concentration in psychology and a secondary in chemistry. Her hobbies include reading fiction, spinning, and exploring new ideas.